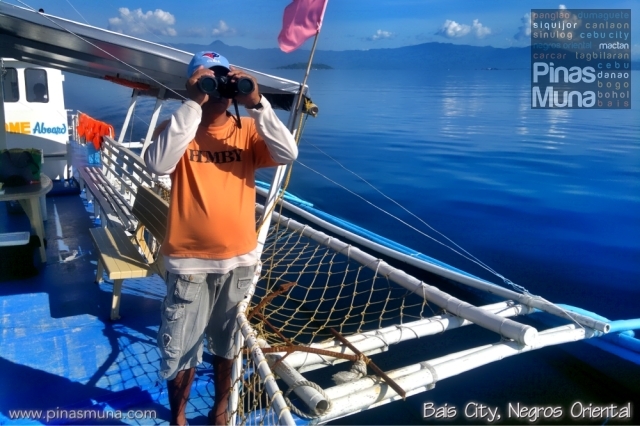 Basi City is an excellent place in the Philippines to go whale and dolphin watching. 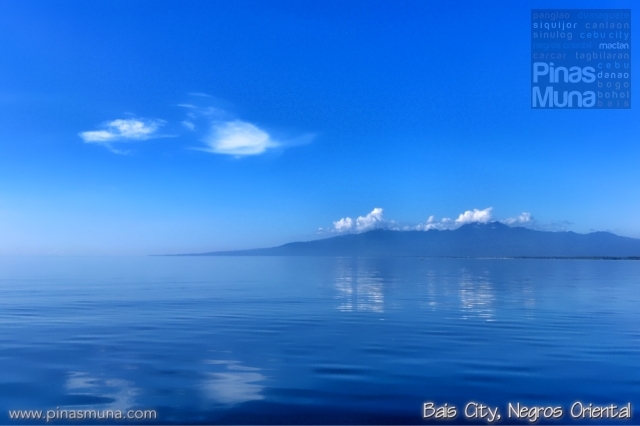 The city is located along the coast of Tañon Strait, a body of water that lies between the islands of Negros and Cebu. The flat calm water of the strait makes it a suitable breeding and feeding ground for whales and dolphins. Whale and dolphin watching in Bais City started to gain popularity only a few years ago and every year, there is a steady growth in the number of tourist arrivals in the city. The city government spearheaded the development of eco-tourism in Bais bringing sustainable livelihood to its citizens. At present, both the City Tourism Office of Bais City and local entrepreneurs operate whale and dolphin watching tours. Tours begin at Bais City's Capiñahan Wharf. After the requisite registration and a short orientation, all is set for the tour to start. Whales and dolphins usually feed during the early hours of the morning, ideally between 7:00am and 10:00am. 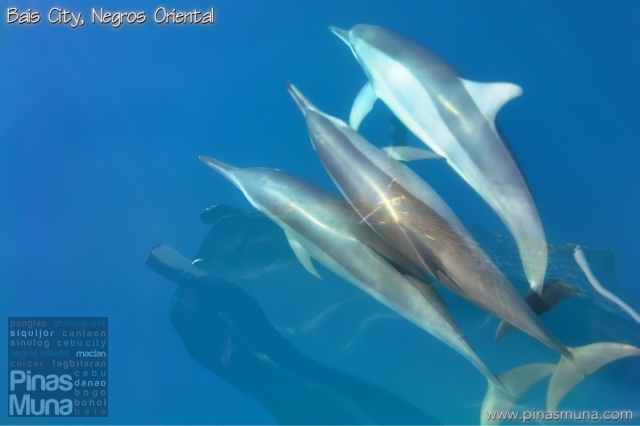 The best months to go whale and dolphin watching in Bais are from March to October. Each tour group will have an on board dolphin spotter, most of whom used to be fishermen. Everyone involved in tours, from the boatman to the spotter, has undergone training and activities in tours follow strict rules. Here in Bais, boats do not chase the dolphins, they don't need to because it is the dolphins that approach the boats. You can really appreciate the natural playful behavior of the dolphins. Boats are also not allowed to speed up, rather they keep a steady slow pace. This is to avoid injuring the dolphins swimming beside and under the boat. Tourists are not allowed to swim with the dolphins. Being wild animals, behavior of dolphins are very unpredictable. Tourists are also not allowed to feed the dolphins. This is to avoid the dolphins from being dependent on humans and to ensure that the dolphins keep their natural feeding instincts. 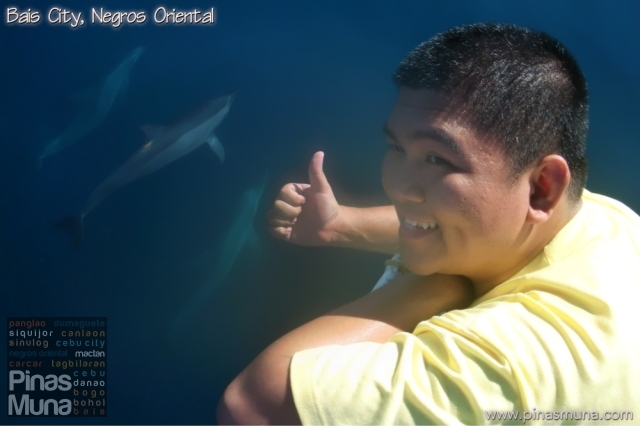 Here is a video of our whale and dolphin watching trip to Bais City last May 31, 2011. Dolphin watching tours usually end at around 10:00am and as part of the package, the boat will bring the visitors to Manjuyod Sandbar, a stretch of white sandbar that appears in the middle of the bay during low tide. It is ideal for swimming and sunbathing. This is also the usual stop where visitors would have their lunch on the boat. Visitors can bring their own lunch or have it arranged and cooked fresh by the boat crew (at an extra charge). See our separate post on Majuyod Sandbar (coming soon). If you think dolphin shows are fun to watch, then you haven't seen the real thing yet. 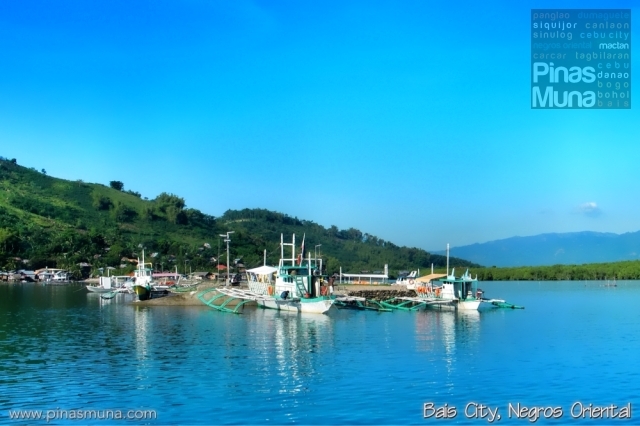 Visit Bais City and watch how the dolphins play in their natural habitat. Several airlines serve daily flights to Dumaguete City, the gateway to Negros Oriental. From Dumaguete City, take the Ceres Bus bound to Bais City. Travel takes 30 minutes. In Bais City, get off at the city plaza and take a tricycle that will bring you to Capiñahan Wharf. *Please tell Maam Rebecca that you were referred by Ramil of pinasmuna.com. She's a really nice lady. She can also prepare your lunch for you, just contact her for the details. WOOOOOW, gusto ko din nito! nakakamangha talaga silang panoorin in such a close encounter..